Obituary for Virginia Norment Flynt | Sullivan's Highland Funeral Service & Crematory, Inc.
Virginia Norment Flynt, 77, of Fayetteville, North Carolina passed away March 25th after a lengthy illness. 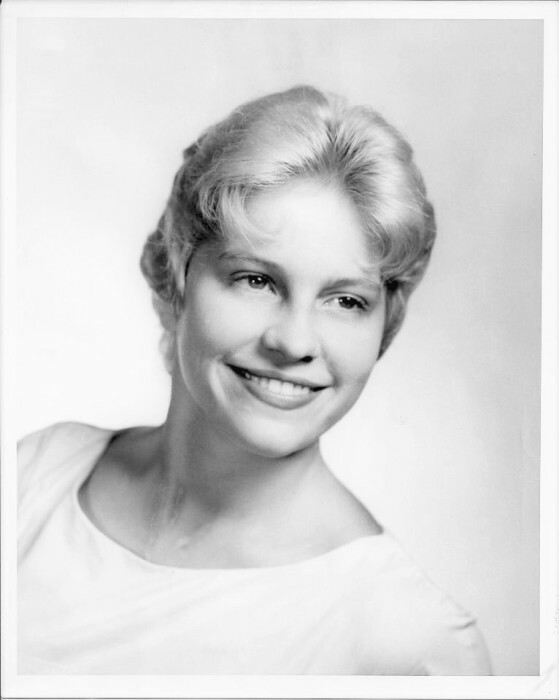 Virginia was born on June 3rd, 1941, in Columbus, Georgia, the youngest child of Richard M. Norment III and Mary Booth Norment. She was preceded in death by her parents, and her siblings Richard M. Norment IV and Mary Eugenia Sellers. She is survived by her children, Charles H. Flynt III (and wife Ann), and Elizabeth Flynt Pokela, of Greensboro. Virginia is also survived by her sister, Anne Norment Hatch, and niece, Lee Anne Norment, of Fayetteville, with whom she made her home for many years. Her grandchildren include James Richard Flynt, Katherine Ann Flynt, Anders Davidson Pokela, Mats Flynt Pokela, and Beret Elizabeth Pokela, all of Greensboro. She is also survived by many nieces, nephews, great-nieces and nephews, and great-great nieces and nephews, all of whom adored their “Aunt Noggie”. Virginia will be lovingly remembered for her sense of humor, her warm nature, her love of family, her free spirit, and her incredible strength and fortitude. She shared an extraordinary connection with her many animals throughout her life. She loved to fish in the surf, walk on the beach and feel her toes in the sand, and hunt for shells and sea glass. She enjoyed taking photographs of the people, places, and things around her. Virginia’s curious spirit will be greatly missed. The family would like to express their sincere gratitude to Cape Fear Hospice, and her wonderful nurses and caregivers over the past year: Shannon Costner, Cheryl Jones, Janet Lawson, and Jamie Tew. A memorial service will be held at 11:00 am, Monday, April 1st at Sullivan’s Highland Funeral Service, 610 Ramsey Street, Fayetteville, NC 28301. A graveside gathering will immediately follow at Lafayette Memorial Park, 2301 Ramsey Street, Fayetteville, NC 28301. The family will receive visitors at the funeral home prior to the memorial service at 10:00 am. In memory of Virginia, donations may be made to the Cumberland County Council on Older Adults Carpentry Ministry (www.ccccooa.org, 339 Dewers Street, Fayetteville, NC 28303) or the Fayetteville Animal Protection Society (FAPS, www.fapspet.org, 3927 Bragg Boulevard, Fayetteville, NC 28303). Online condolences may be made at www.sullivanshighland.com.